I was given the opportunity recently, to choose some products by Lipstick Queen, for myself to try out. 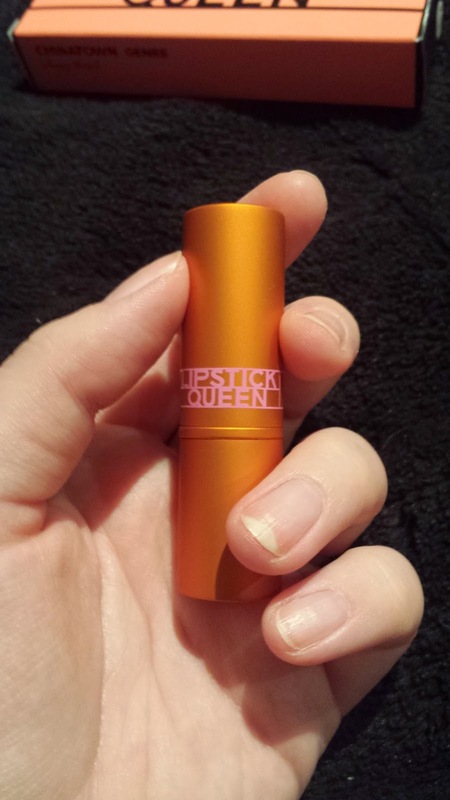 Lipstick Queen is a range designed by the lovely Poppy King, in her quest to find the perfect lipstick for herself! Browsing through the online store, I found it difficult to choose between all the beautiful looking products, but I narrowed it down to two that I had to have! The first product I chose, was the Endless Summer lipstick in the shade 'Stoked'. I was drawn to this colour because I'm completely obsessed with oranges and corals at the moment! I was keen to find out how true the shade would be to how it appears on the website, and I was pleasantly surprised to find that it was super accurate. 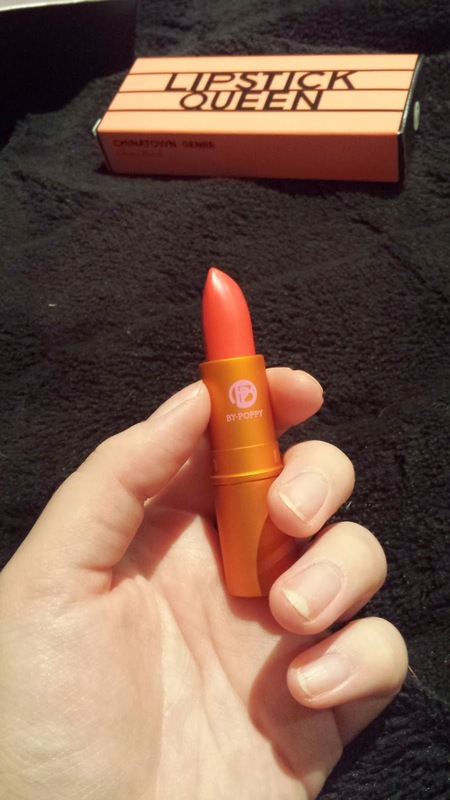 I love this shade, as it seems to be the perfect mix of coral and red, without being too "out there". It's quite subtle - almost more like a tint, however the colour is also quite easy to build upon. I found this lipstick to be extremely moisturising! In fact, the first time I applied it, I thought there was no way it could possibly be long-lasting, because it felt so silky and as though it would just slip right off my lips! However, I was surprised to find that it did last quite well throughout the day. As with any lipstick of course, it's lasting power largely depends on your expectations, and whether you are eating or drinking often etc. But overall, I have found that it lasts for most of the day, if I apply two or three coats in the morning. I really like this lipstick and would love to give some of the other shades a try! The other product I chose, was the Chinatown chubby lip pencil in the shade 'Genre'. Again, I was drawn to this colour because it was described as a "sheer, bright orange". I wasn't entirely sure what to expect from this product - whether it would be a creamy consistency, or more like a gloss, so I couldn't wait to give it a try! The pencil comes with it's own sharpener, which I love - and I loved the colour straight away! It's basically a lip gloss in the form of a pencil - or at least, that's how I would describe it. I really like this idea, as it's super easy to apply and it isn't sticky or messy like glosses can be. The shades in the Chinatown range are very bright, however they are super, super sheer, which enables you to wear colours that would otherwise be too overbearing, in a full coverage formula. I love this product and the idea behind it. 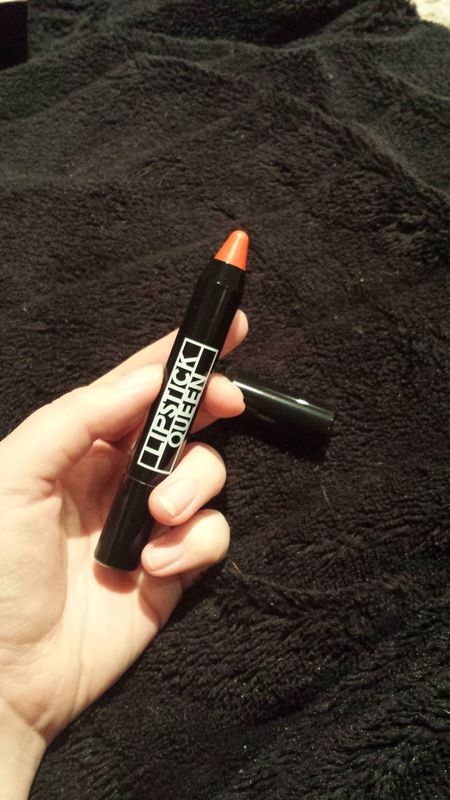 It's versatile and can be worn on it's own, as well as underneath or over top of other lip products. I would definitely recommend giving this one a try! Disclaimer: These products were provided to be by Kit Cosmetics - as distributor for Lipstick Queen - for review. However, this post is based solely on my own, personal opinions of these products. I have not been paid in any way, other than the receipt of these products, for this post or any of the opinions expressed above.